A great crossover uke for guitar players. 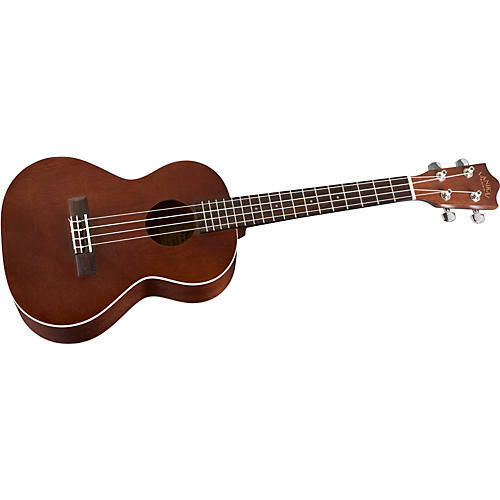 The Lanikai LU-21T Ukulele has a larger sized tenor body. The top, back, and sides are nato, which is very similar to mahogany. Other features include an easy-to-play rosewood fingerboard and bridge, die-cast tuners for solid tuning, and binding on the top. Lanikai ukuleles have great playability, sound, and aesthetics at a price that will surprise you. This ukulele is strung with Aquila Nylgut Strings and includes a Lanikai Learn to Play Instruction Booklet. Add the island vibe to your repertoire. Order now.